Marriages and families are screaming for help, for dads to provide the guidance and leadership needed for life. Forty percent of kids are growing up in a home without a dad present. When dad is not around, kids are twice as likely to drop out of high school, young ladies are three times more likely to become teen mothers and boys are ten times as likely to have behavioral problems than kids with dads present. Arguably, all societal woes can be tied to fatherlessness. Many ministries work tirelessly to restore marriages and save kids from drowning in life without a dad. A fathering ministry that encourages and equips dads to be faithful fathers is an upstream ministry. Every good and perfect gift is from above, coming down from the Father of the Heavenly lights, who does not change like shifting shadows. – James 1:17. Every good and perfect gift flows from a foundational relationship with Jesus and the Father. How that relationship is realized in marriage and in family has to do with how well a dad accepts responsibility as the Father’s representative in the home. Does he indeed reflect the Father of Heavenly lights to lead his family through the rough waters of life? Or is he under the influence of shifting shadows, some of the devil’s best schemes to take out marriages and family? The charge is on for dads to emulate the Father and blast His Light through any shadows that exist in the home, church and the community. Dads that love their wives as Christ loves the church and embrace the blessing of family by prioritizing physical presence, staying engaged emotionally and leading spiritually by example between Sundays prepare their kids well for the turbulence they will face in the world. Upstream ministry happens as core groups of faithful fathers in the church begin to walk up the river bank. Prayer guide: My Father, Lord, thank You for the good and perfect gift that is relationship with You and the Father. I have taken that gift for granted while chasing after worldly stuff. I confess I have allowed the worldly stuff to distract me mightily between Sundays. Forgive me. I commit this Lenten season to grow in relationship with You through time in prayer, worship, study and fasting, to emulate that relationship in marriage and in family, and to stand firm as a representative of You, the Father of Heavenly lights in my home, church and the community. Amen. 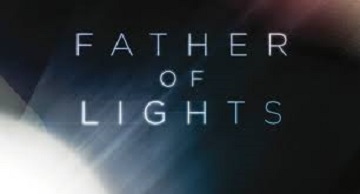 A faithful father accepts responsibilities upstream and emulates the Father of Heavenly lights in family. I am thankful for Faithful Fathering's dedication and unwavering focus of coming alongside the Church and training core groups of dads to 'Walk Upstream' as Faithful Fathers! Keep sharing the good Word brother.